Problem based learning (PBL) is a student-centred approach that gives students experience with solving open-ended problems. This approach to learning encourages teamwork, the use of trial and error and critical thinking, all of which are vital skills for students to acquire in high school. A great example of this teaching method was used recently in our Grade 8 science classes. 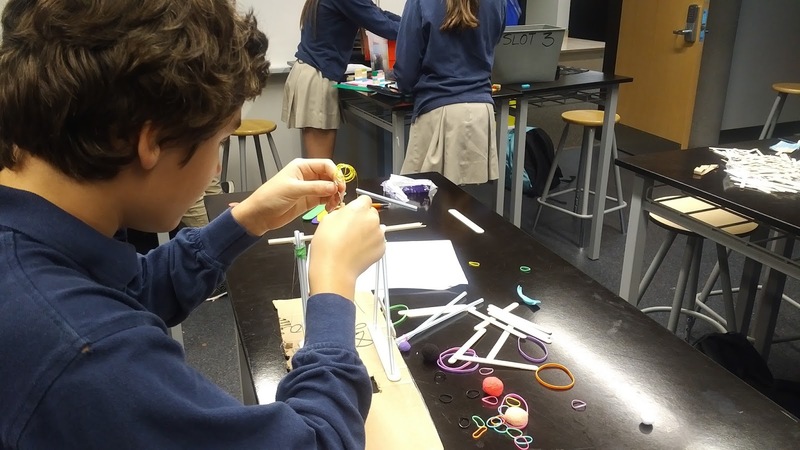 As part of a unit on simple machines and the study of levers, students worked in teams to design and build a Trebuchet. 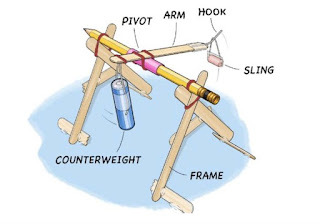 A trebuchet is a medieval siege weapon designed to throw projectiles long distances. A key element of this design involves using a beam, hinged at a pivot point to launch a projectile. 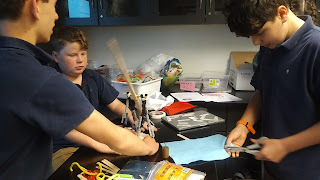 Students began the task by making a prototype and used it to experiment with the ideal ratios of the beam, pivot and counterweight to develop their final design. Students used materials such as doweling, straws and plastic spoons to build their final prototype. They used their machine to calculate mechanical advantage and work. A written reflection on what they had learned through the process was also completed. 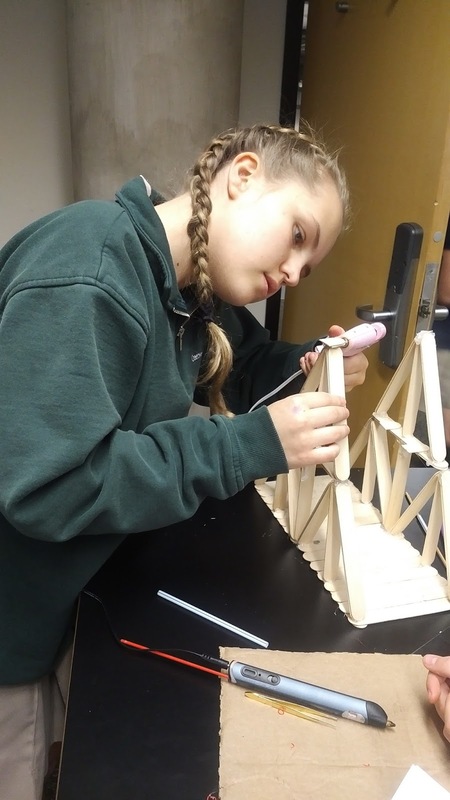 As a concluding activity, students competed against one another to determine which trebuchet could fling a mini-marshmallow the furthest distance. Knowing the inquiry ended with this type of competition really motivated students to build the most effective trebuchet.